Everyone wants to make feathers. No wonder, they add such an elegant touch to any quilt. Not to mention how the they highlight your skills. Before you leave you’ll be surprised how far you’ve gone on the journey to proficiency in feathers. There are lots of types and looks of feathers. 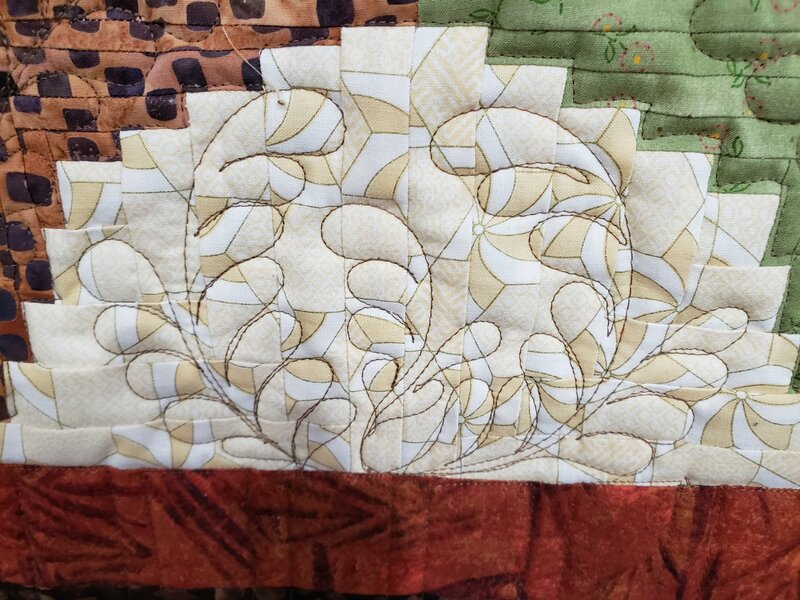 We will start with the simplest ones and move on the hump back feathers which allow you to fill in any size or shape of area on your quilt. Not as hard as you might think. You already know that nothing will replace practice. So now you know what to practice to be a “feather expert”.